Brands are working on their relationships with their vendors, identifying them as a vital element for their success. Sourcing is an element of utmost importance for a brand to run the show successfully. It is the vendors who derive the success of a brand at the grassroot level. For a Subway, if fresh vegetables are not delivered daily at their store every day, they will not be able to serve a fresh meal to their customers. In such a situation, the image of the brand would start dwindling. So it is imperative to understand the significance of a suppliers’ contribution. To upkeep their relationships with the vital division of their businesses, several retailers are honouring and awarding their suppliers or organising interactive events to work on their relationships. Spencer’s Retail organised its very first Annual Supplier Awards at to recognise the contribution and commitment of the supplier partners. The Best Supplier awards were honoured in the categories like Processed Food, Beverage, Alcoholic Beverage, Dairy, Bakery, Home Care and Personal Care, etc. Kraft Foods (Cadbury India Ltd) has been awarded as The Best FMCG Supplier followed by Hindustan Unilever. Amongst regional suppliers, Mukhorochok stood out as the winner followed by Saj Foods (Bisk Farm). The awardees were judged on multiple criteria that have an impact on both partners, i.e, Spencer’s and its vendors and contributes to grow business, drive efficiencies and delight customers across all geographies. The first panel discussion focused on brand partnerships and the challenges faced in e-commerce. The key take away from the session was the pressing need to standardise body sizes across brands sold in the country. 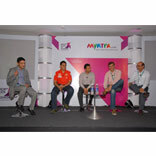 This was followed by the second panel discussion which focused on the best offline retail practices. This discussion focused on best offline retail practices that can be implemented in the online space. While some are working on creating stronger brand relationships, some are looking at reviewing their relationships with vendors owing to the fraudulent activities that are gaining ground lately. Walmart has brought KPMG on board to point out any unethical activities by its vendor’s, post which, it will shatter all ties with those who will be guilty. KPMG will put all vendors in three categories, red indicating the black listed ones, green for those who will come all clean and amber for those who may be suspicious and Walmart would take a call on whether to continue or snap ties with them. Brands need to increasingly take up this drive and honour contribution by suppliers for their own success besides putting regularised auditing process in place. This will eventually streamline the shopping experience. What’s more a retailer can aspire than keeping its customers happy?